Former Brazilian President Luiz Inacio Lula da Silva can be jailed on corruption charges, the Supreme Court has ruled. 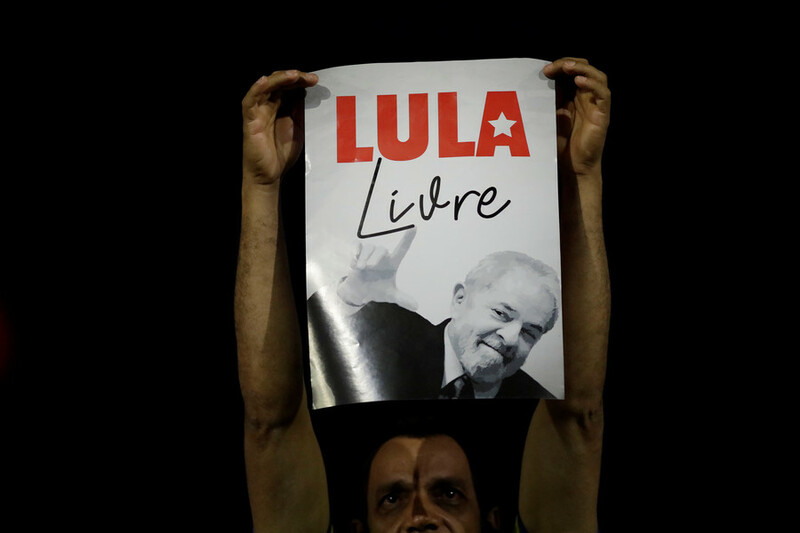 The move would apparently block Lula's reelection bid, despite strong public support. The Supreme Federal Court (STF) has voted 6-5 to deny Lula's plea and ruled he must start serving a 12-year prison sentence for graft. According to the ruling, Lula may now be arrested at any time and will likely not be allowed to run for president in October. The decision is the latest step in a series of actions in Brazil, which critics of the current government describe as a creeping right-wing takeover of the nation's democratic institutions. The popular 72-year-old politician, who is leading in all polls ahead of the October presidential election, was convicted of money laundering and passive corruption last July. The court's decision apparently blocks da Silva's expected return to politics. He says his legal troubles are a result of the machinations of his political opponents. Commonly known as Lula, the Brazilian Workers' Party icon recently spoke on an RT Spanish show hosted by former Ecuadorian President Rafael Correa, where he argued that corruption charges are just a tool used by his political opponents to target people in the leftist camp, including himself. "The right wing has always used corruption to attack the left. This happened with the fascists and Nazis. This happened when [President] Getúlio Vargas killed himself in Brazil, and that's why [President Juan] Peron fled Argentina. Corruption charges are an instrument in the moral and ethical fight against opponents," he said. Declaring himself a victim of political persecution, Lula told his supporters in Rio de Janeiro on Monday that his struggle is a continuation of the fight against the former dictatorship of 1964-1985. The possibility of his return to power has driven his supporters, as well as his opponents, onto the streets ahead of the Supreme Court's decision. Crowds flooded the streets of several Brazilian cities calling for the politician's imprisonment for corruption and money laundering. People chanted "Lula in jail," while others staged a performance with a person dressed as Lula sitting behind bars. Others rushed to defend the leftist politician, calling his potential incarceration an attack on democracy. The social split follows a downturn in the Brazilian economy, which has shrunk since Lula left power in 2011. Brazilians are also trying to recover from the impeachment of da Silva's protégé, former President Dilma Rousseff, who was herself ousted in 2016 for manipulating the federal budget to hide the nation's growing economic crisis. Her supporters, including Lula, called the impeachment a parliamentary coup. "Straight away I realized that they would never let me run in 2018, because they impeached Dilma, and they did not want me to return two years after she was deposed," he told RT in the interview. "And then, Rafael, lies swept across Brazil. There is a conspiracy in Brazil between the media, the judiciary, the prosecution service and police." Rousseff's departure ended 13 years of the leftist Workers' Party hold on government, which was at first characterized by a soaring economy and the movement of millions into the middle class. Lula was initially sentenced to nine years in jail, and an appeals court in January upheld the ruling, increasing the sentence to 12 years. 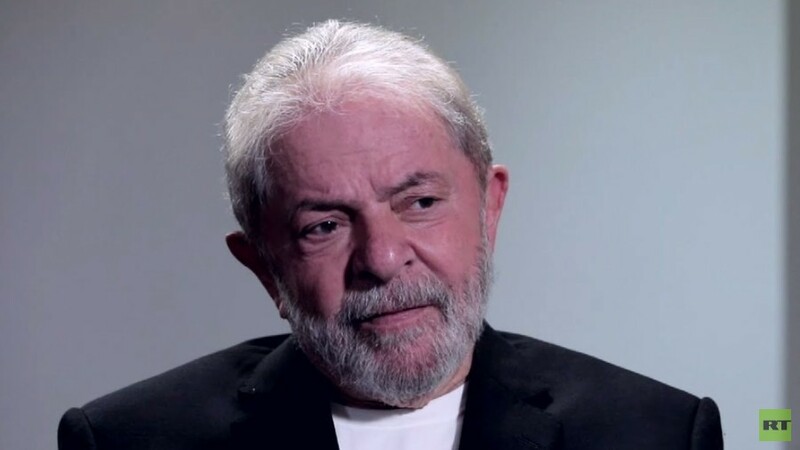 While Lula's defense has no power to reverse the conviction and obtain an acquittal of the former president (who held the office from 2003 to 2011), it still has the option of appealing to the Regional Federal Court of the 4th Region (TRF-4), which passed the 12-year sentence.